Congo Bongo (Colecovision) Classic Fun Game Cartridge Good Condition Tested! Congo Bongo ColecoVision & Adam Game Cartridge Only - EX Condition! 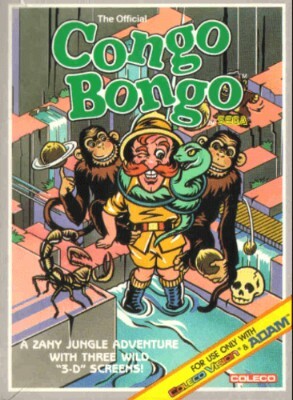 Congo Bongo COLECOVISION - Cart Only Sega Free S&H!